One of the country's preeminent pastors is hosting "A Night of Hope" in San Jose. Joel Osteen is slated to bring his message to the San Jose arena Friday. TGIF for thousands in the South Bay this week will be a trip to the HP Pavilion a good old-fashioned revival of sorts. 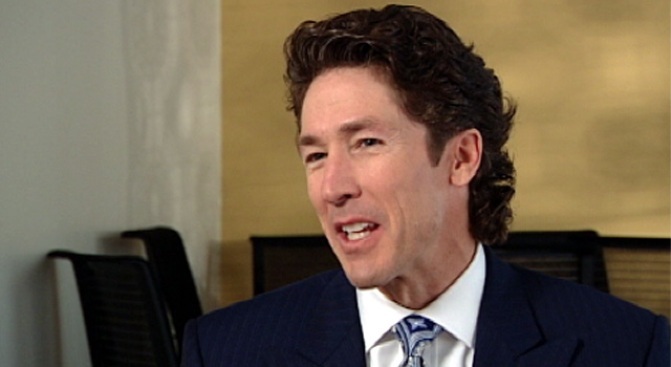 Texas pastor Joel Osteen is one of the country's preeminent Christian ministers. He is hosting "A Night of Hope" at the San Jose arena. Osteen leads the largest church in the United States in Houston, but he takes his show on the road about once a month to spread the good news of the Bible to anyone willing to pay $15 for a ticket. The pitch for the evening is that you "will hear an inspirational message of hope and God’s love." That is enough to get thousands to pack arenas across the country to hear the inspirational Christian speaker. In case you haven't heard of the man: Osteen is a best selling author. His church has a congregation of about 40,000. He's watched by millions more on television each week. And because we're in Silicon valley, you might also like to know that Osteen was recently picked as one of the most influential people on Twitter. Andrea Davis is doing PR for the event. She says about 12,000 people are expected for an evening she describes as something similar to what Billy Graham used to hold. The evening includes lots of music, a sermon, and an altar call. But unlike Graham, Osteen does not include a cattle call down front. Those wanting to become a Christian on Friday will be asked simply to stand and to pray. The new believers will be given local church options to continue their journey come Sunday morning. "People will be changed. They will leave better off," Davis said. Osteen's story of becoming a preacher is a compelling one. He worked behind the scenes in the television production team at his father's church in Houston. His dad John Osteen always wanted him to preach, but Joel resisted until one Sunday when he took to the podium as a favor for his father. That week John Osteen died unexpectedly. Joel Osteen then gingerly stepped into his father's shoes and in the following years the church went from 6,000 in 1999 to 40,000 today. It will be a quick visit for Osteen. He has a book event at the Steven's Creek Barnes and Noble at noon. The speaking engagement at HP is at 7:30. He will fly back to his home church Saturday so that he can be there for the Saturday evening service. He'll have never as many in the audience in Texas as he will have in San Jose. Lakewood Church converted a Houston arena for its services and they pack in about 10,000 per service.